15 JulWhat Are The Benefits Of Custom T-Shirts? Have you experienced the benefits of custom t-shirts for your business or cause? If not, you should try it ASAP! The Synergy Print Design team has more than 70 years of combined experience in helping local businesses, schools, groups, and organizations spread the news of their cause. 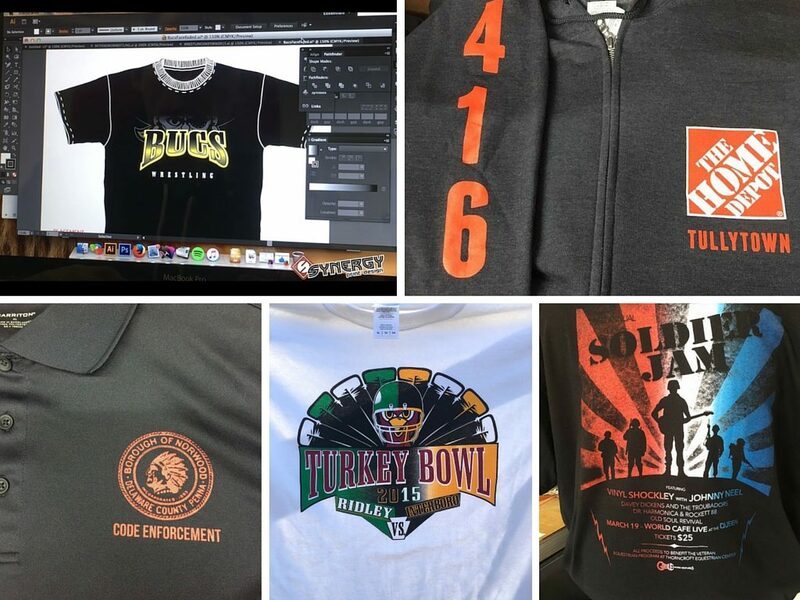 Whether you’re trying to raise awareness for a worthy fundraiser, advertise your new small business, or boost your school’s team spirit at your next homecoming game a custom t-shirt can really get things going! What’s better for spreading the word about your business than walking billboards? Not only will your employees, customers, or participants become your best source of advertisement, but they’ll love showing their pride in your cause! Shirts inspire interest and spark conversation. They’re the best way to get your community talking about you. Brand recognition is priceless for helping businesses get new customers and events gain more participants, and with custom shirts, your brand can reach whole new audiences. Custom shirts act as a unifying force for your employees, customers, clients, students, or team. 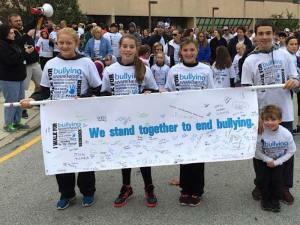 Your group will feel a sense of camaraderie and togetherness as they boast about your brand or cause. This can help build a strong community. Talk about a driving force behind your business or organization! You might think that custom shirts just aren’t in your budget. But with bulk pricing and Synergy Print Design’s low material costs, you might be surprised. We will quote your job for free, and you can see for yourself! Click here to get your free quote and see just how affordable custom t-shirts actually are! No one wants to be ordinary. Creating a custom design for your company or event helps you stand out. Great artwork is remembered, and we are here to help your brand become unforgettable. Let your creativity take the wheel with an eye-catching line of custom t-shirts! 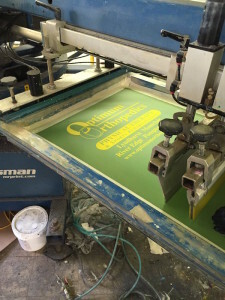 Many other screen printing companies might take shortcuts when it comes to printing your shirts. At Synergy Print Design, our state-of-the-art technology ensures that your design will stay intact for years. We print with durable ink on the highest quality shirts, and then flash dry each tee. This helps guarantee that your shirts will keep their vibrant colors. Don’t worry about fading prints or peeling paints. The Synergy team has got you covered! Nothing says “professional” like custom shirts for your business or group! An attractive shirt helps your clients to identify your employees and elevates your business to the next level in the eyes of your customers. 7. Custom Shirts Make Great Giveaways! 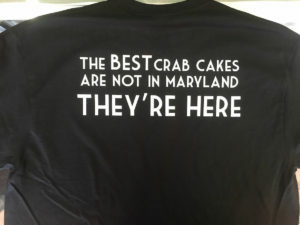 Because of their low cost and branded nature, custom shirts make excellent giveaways! Use your shirts to run raffles, contests, or customer incentive programs. Your customers will thank you! 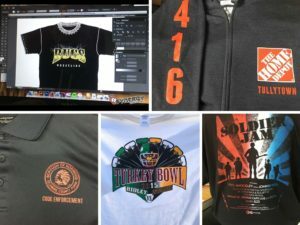 You can help your business, school, or organization be memorable, reach new audiences, and look more professional by creating custom t-shirts. Let us help you out! Contact Synergy Print Design to get a free quote on custom t-shirts today!